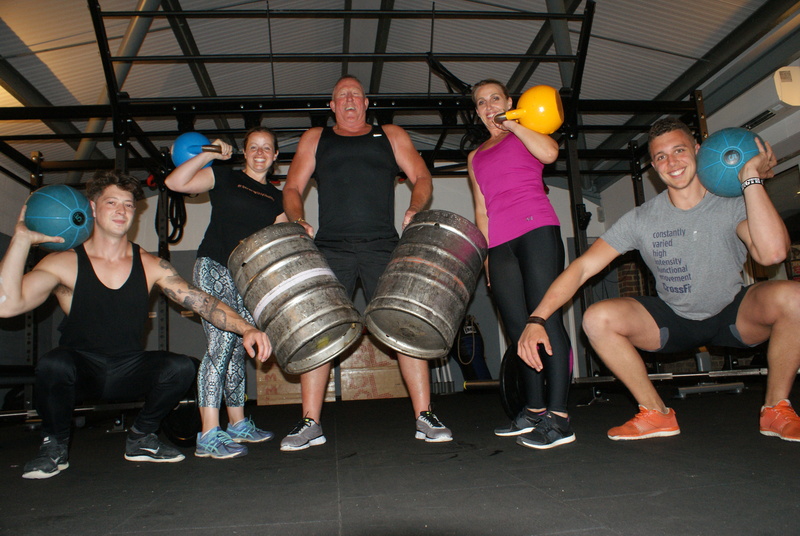 Fitness and live music is the order of the day on Saturday 13 August in a mini festival taking place at Isenhurst Health Club Cross in Hand in memory of local butcher Dan Osborne who passed away two years ago in a tragic car accident. All profits of the event will be donated to Kent Sussex Surrey Air Ambulance Trust (KSS Air Ambulance) who were one of the emergency services at the scene after the accident took place. The day will start with a ‘Pick it up, Put it down’ weightlifting and fitness competition being organised by Personal Trainers Louis Chavannes and Ryan Smith. They will be bringing together 54 people from the local area to undergo a Workout of the Day (WOD) devised to test not only strength, but also physical endurance. Pairs consisting of one male and one female will work together to complete the fitness challenge, with the couple completing it in the quickest time being crowned competition Champions for 2016. Gates will open at 6pm to those who have tickets to the evening event. Local band The Big Kahuna will be headlining with the inhouse DJ providing the rest of the music. There will also be an Auction of Promises, with all proceeds from this also going to the KSS Air Ambulance. A number of local businesses will be supporting the event. Italian deli Cuculo on Heathfield High Street will be selling Prosecco, strawberries and artisan Italian ice cream and the Community Oven will be on site serving a selection of delicious stone baked pizzas. Burritos will be available to eat too as well as a well-stocked licensed bar. Food and drink will be available to purchase from start to finish with all profits going to charity too. Other local companies supporting the event include Natwest on Heathfield High Street, Higher Nature, Wilderness PR, Printstation, Isenhurst Health Clubs and Strength Vitality. Tickets for the gig in the evening are £10 and can be bought here http://bit.ly/29RQcl4. There will be a limited number of tickets available to buy on the door on the night. Timings for the evening event are 6pm to late. People can enjoy the fitness event for free from 12pm-6pm. Food and drink will be available to purchase throughout the day and there will be plenty to keep children entertained.